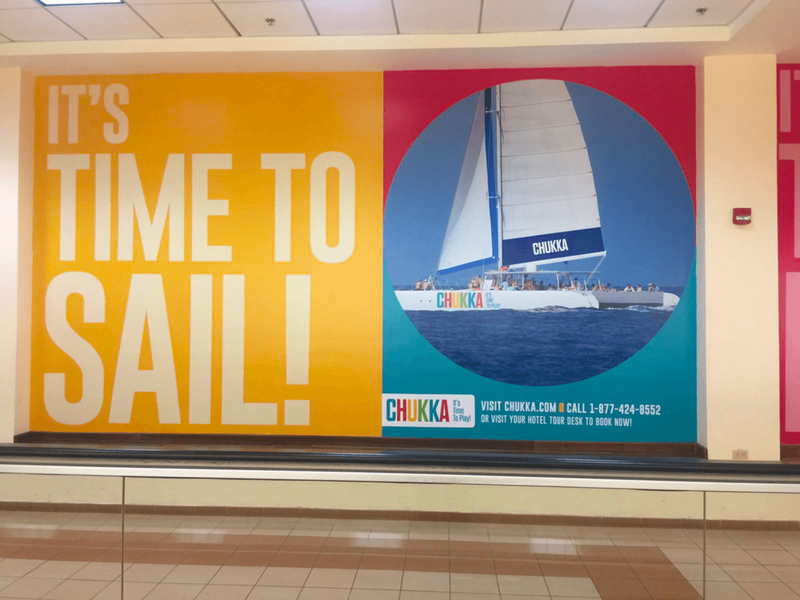 Chukka is a Jamaican tour company that wanted to advertise in Sangster International Airport in Montego Bay and promote all the different activities they offer. 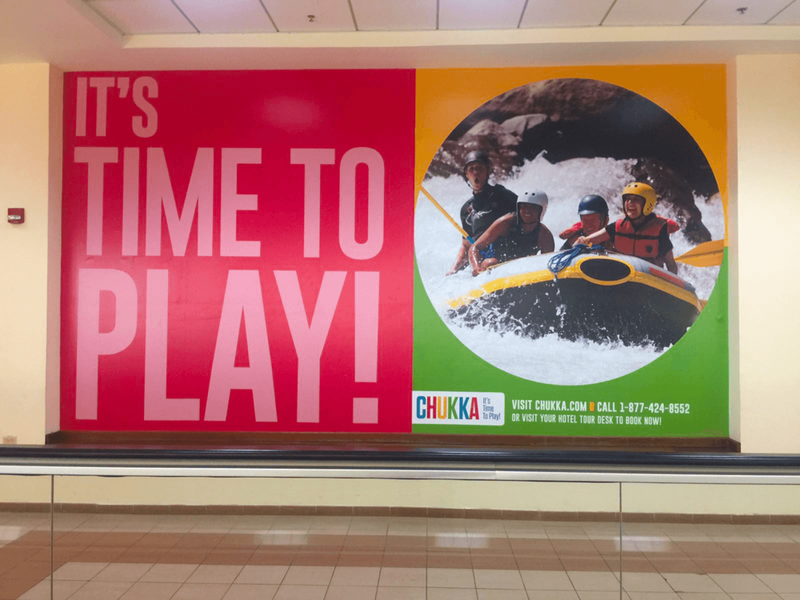 There tagline is “It’s Time to Play!” So each panel is related to the main theme. 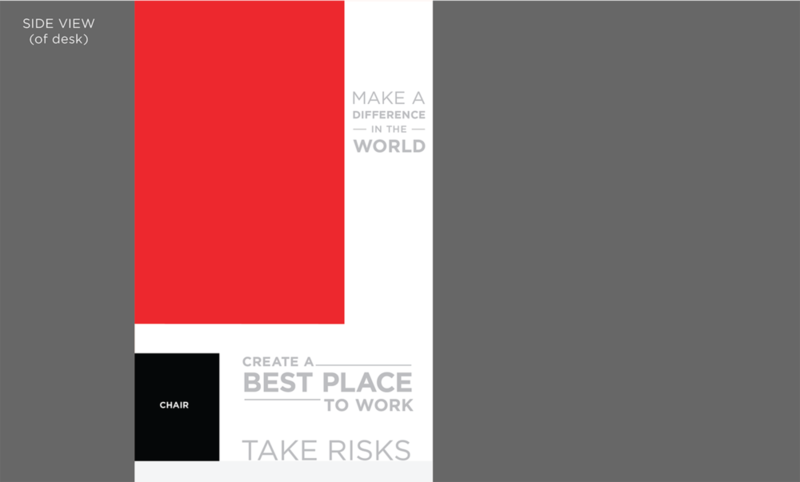 This first image is an example of the design file. 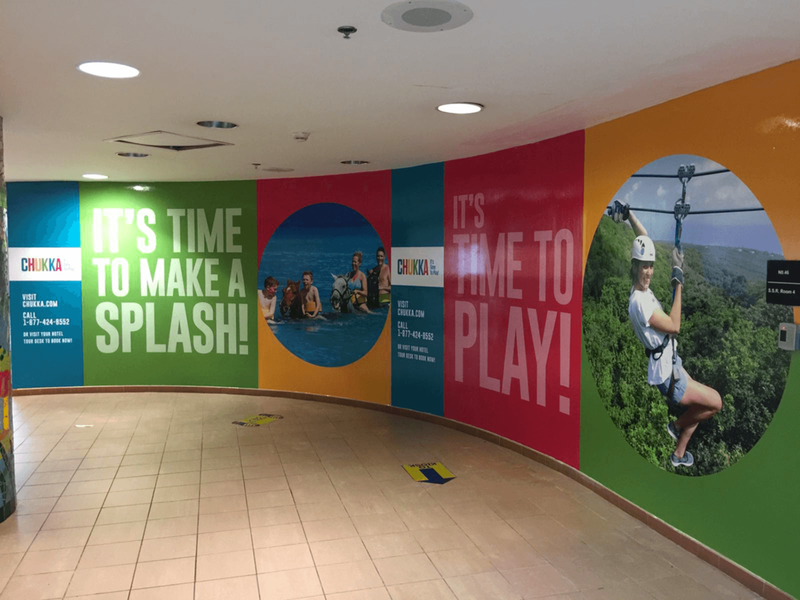 The rest below are snapshots of the graphics in the airport. The Detroit office had moved to a new space and they wanted to put up the company core values in the reception area. 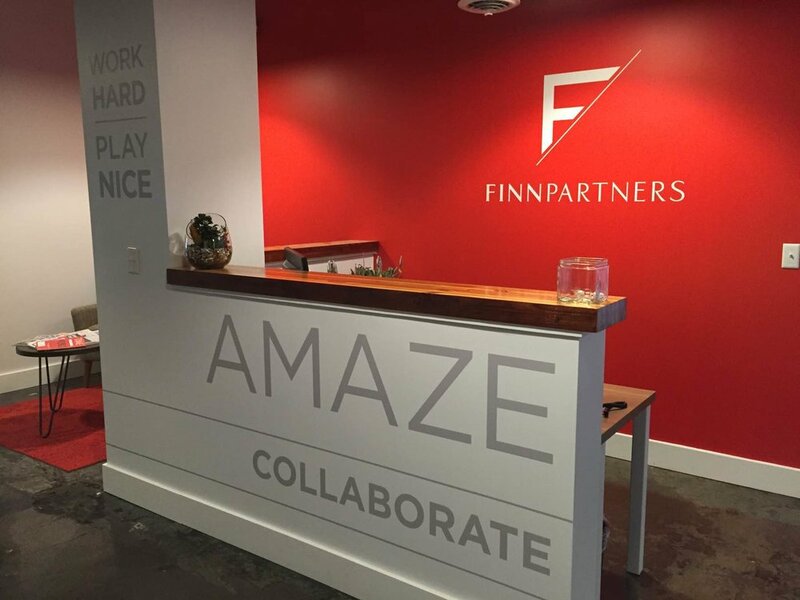 They wanted to jazz up the plain white walls, even though the white adds a nice contrast to the deep Finn red wall behind the reception desk. So the compromise was to design big typographic treatments of each core value, but make them airy and a lighter gray so they don’t overwhelm the visitor but are still impactful. Before photo of the reception area. Mockup of the front view of the space. Mockup of the side view of the space. Photo from the front of the graphics. Photo from the side of the graphics.